Rugged Aluminum Die Cast Housing. Operating power includes two long lasting Lithium Polymer Rechargeable Batteries. External adapter-charger, use one battery while one is charging. 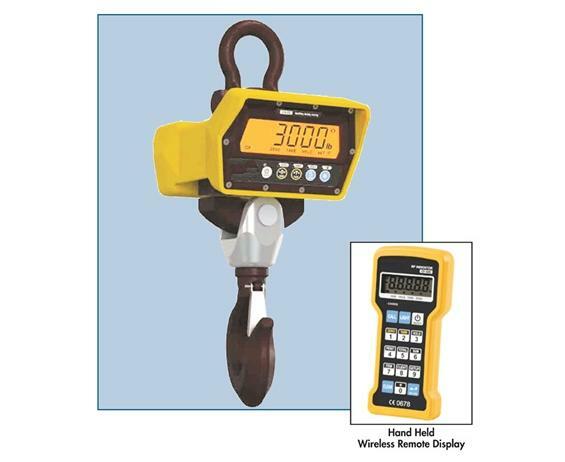 Wireless IR hand held remote control. 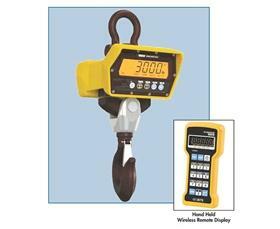 Wireless portable hand held display with Easy-to-See LED display with 1-3/16" digits with back light. Weigh modes: lb./kg. Full range tare. 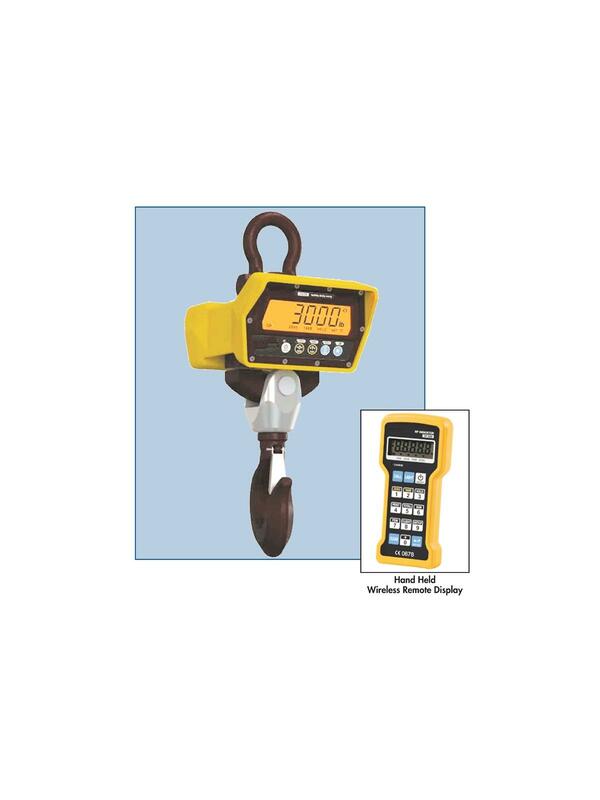 Crosby spring load safety hook. Overload safety up to 200%. 4 button keypad: (On/Off), (Zero), (Tare), and (Remote). FOB Shipping Point. 2000 lb. x 0.5 lb. 1000 lb. x 0.5 kg.